I have heard nothing but praise about beer from Anchor Brewing so i figured it was high time I gave some a try. 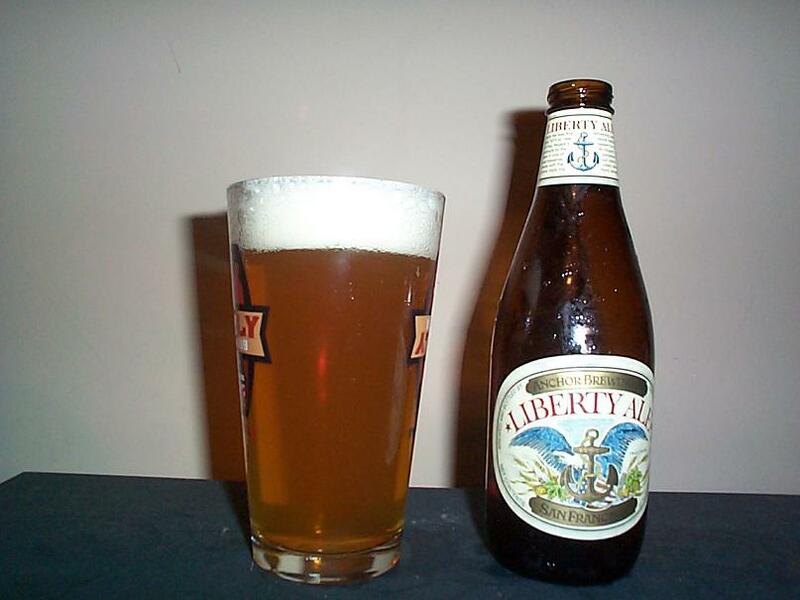 Liberty Ale is an American pale ale out of San Fransisco, California clockig in at a pleasant 6% ABV. First brewed in 1975 to celebrate the bicentennial of the famous ride by Paul Revere. This lovely light orange beer has some intense carbonation, careful when pouring. Head is strong but also has some small champaign like bubbles. Smell is nice, somewhat pale but sweet citrus is also present.Tastes Mostly of lightly sweet pale malt, but there is also some nice bitterness. The balance is very nice and the yeast definitely helps makes this a good flavorful beer. Mouthfeel is pretty light. This is a darn good pale ale, flavors range from sweet to bitter to even a bit sour and balance out amazingly. A grand choice on a warm day or if you just prefer less hops but like a good beer with quality ingredients. I will definitely be picking up more Anchor beers. Give it a shot and ride your bike.